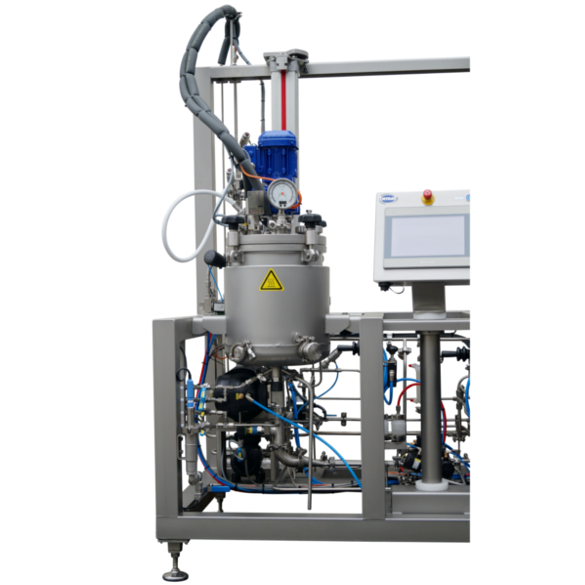 The OMVE pressurized fermenter supports sterilized fermentation of a wide range of products. It integrates easily with our UHT unit to allow sterilization in place (SIP). 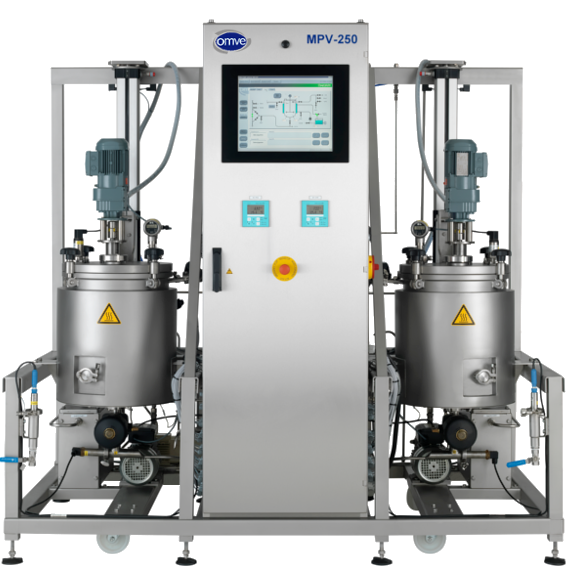 After sterilizing, the fermentation vessel is continuously fed with sterile media from the UHT unit. 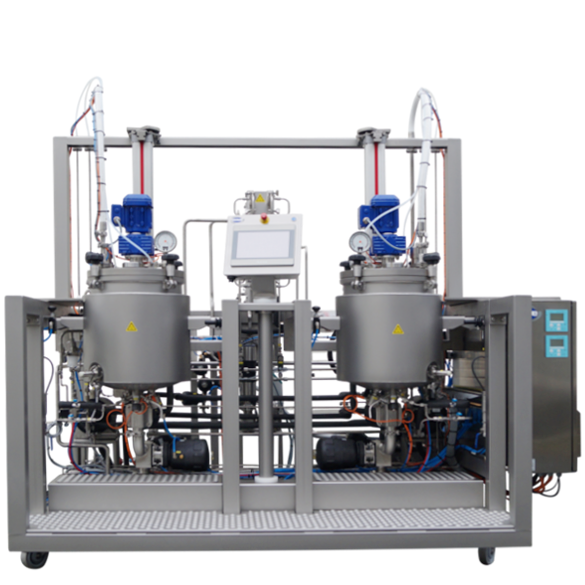 Once this the vessel is full, the fermenter can be programmed to run autonomously at the required temperature and time profile, with all critical control points (CCPs) accurately monitored and recorded. 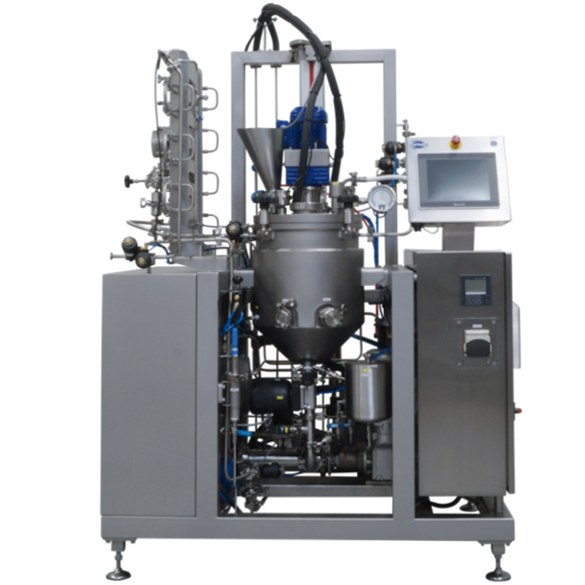 The fermentation vessel can be emptied at the end of the process or additional processes such as structuring and cooling can be performed. Our fermenter is controlled via a human machine interface (HMI). The unit is available with different mixers. 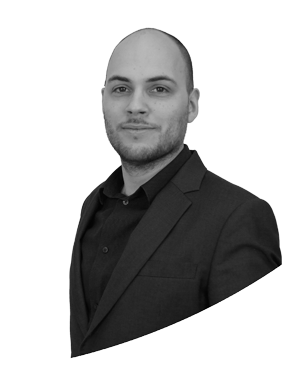 Combining this system with a cooling or structuring unit allows you to investigate structural changes based on pressure or strainer variations. Other potential additions include a manual ingredient funnel, and valves for product sampling and releasing sparging gas into the vessel. 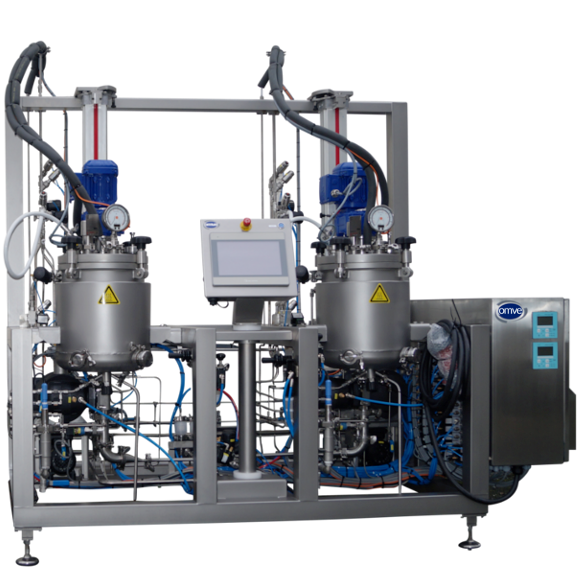 The pressurized fermenter is the most comprehensive unit available for fermentation on a lab and pilot scale that allows for easy scale-up. 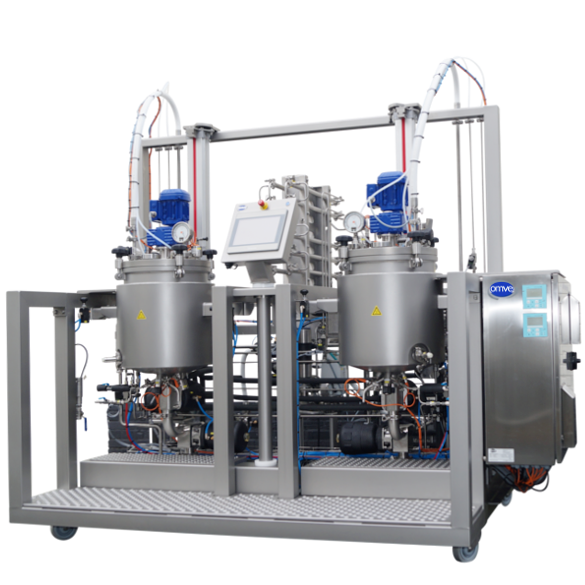 The OMVE pressurized fermenters MPV221-FE up to 3601-FE are available in a range of sizes, including 20L, 50L, 100L, 200L, 400L and 600L vessels. 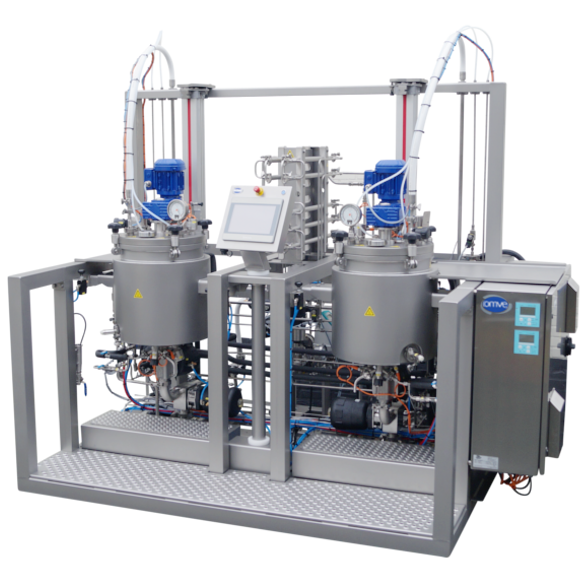 The 20L and 50L options are also available with two vessels on the same skid.